The safety of electronic cigarettes has been a subject of mixed messages over the last few years. Studies have linked e-cigs to a wide range of issues but even then, health experts still maintain the idea of using electronic cigarettes is still way safer compared to smoking itself. Part of the reason why many people have decided to quit smoking in favor of vaping is based on the fact that electronic cigarettes allow you to get your daily dose of nicotine without having to consume the toxins that come with it in a normal cigarette. Experts have argued that this fact has not changed. Vaping has also been crucial in helping chain smokers stop the habit. A study done in England in 2015 noted that in that year alone, vaping helped nearly 18,000 smokers to quit the habit. In addition to this, a lot of studies that have been done to assess the risks of vaping have been quite inconclusive and in order to definitively proof that indeed there are some risks involved, more work needs to be done. Most of the headlines on the dangers of e-cigs have all been alarmists, to say the least. 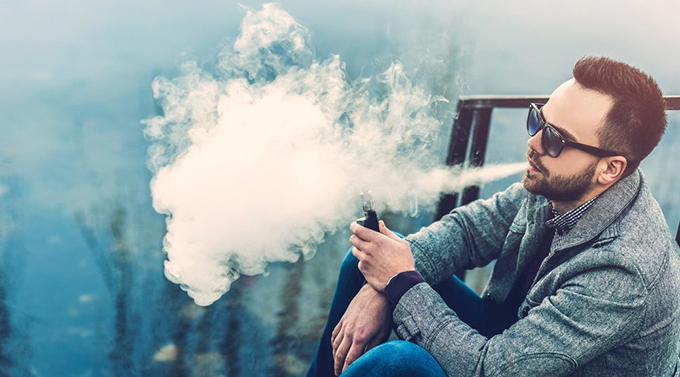 To put this into perspective, an authoritative report that was published by the Royal College of Physicians analyzed various studies on the potential risks of vaping. The report concluded that based on the body of evidence released so far, it was apparent that long-term vaping was highly unlikely to cause even 5% of the harm that long-term smoking would. There seem to be a lot of consensus among medical practitioners that vaping still remains a crucial substitute for normal cigarettes. The increasing stream of alarmist media stories on the dangers of vaping seems to be changing perceptions about e-cigs and many experts warn that this could reverse massive gains that have already been made in reducing the number of smokers and mitigating the health effect long-term tobacco smoking has on people’s health. In order to put this debate about vaping risks to rest, Cancer Research UK, a leading cancer research institution in Britain has commenced a series of studies that are aimed to critically assess vaping and see whether there are any possible risks. The fact that such a high-profile research center is looking to demystify the myths and bring out the fact about vaping is a clear sign that a majority of studies done have been inconclusive and the body of evidence provided to support conclusions has lacked enough merit. There is no doubt that vaping has saved millions of lives and saved families a lot of money that would otherwise be spent in health care to address smoking-related issues. Even though more empirical research is needed to understand the effects of vaping if any, at the moment, that empirical evidence is either scanty or inexistent. One thing remains very clear though, the dangers of smoking are already known and over the years this habit has claimed many lives. Suggesting that vape pen could be a harmful product will only turn people back towards cigarettes and that will be the real disaster.